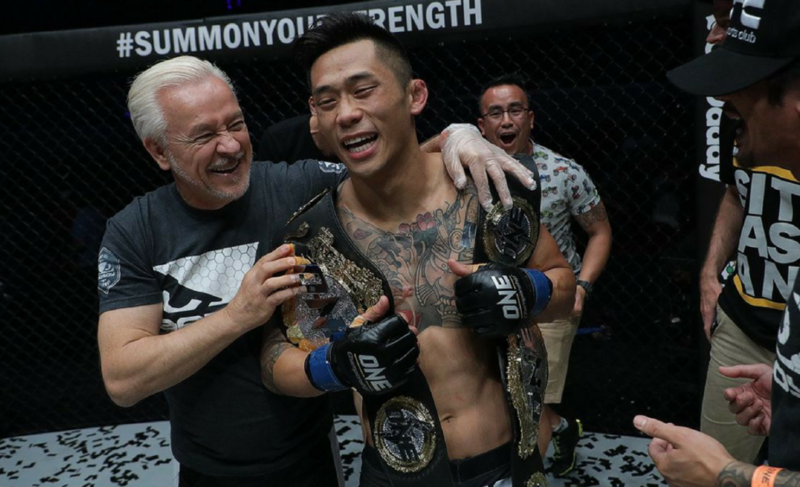 ONE Championship, one of Asia’s foremost mixed martial arts promotions, has spent plenty of time on recent news cycles in the global spotlight. There was, of course, the blockbuster “trade” with the UFC involving Demetrious Johnson and Ben Askren, the splashy signings of Eddie Alvarez, Sage Northcutt, and Vitor Belfort; and the ongoing Lightweight and Flyweight Grand Prix tournaments. This Friday, ONE Championship will return to The Philippines in the first event since last month’s remarkably star-studded Tokyo debut. 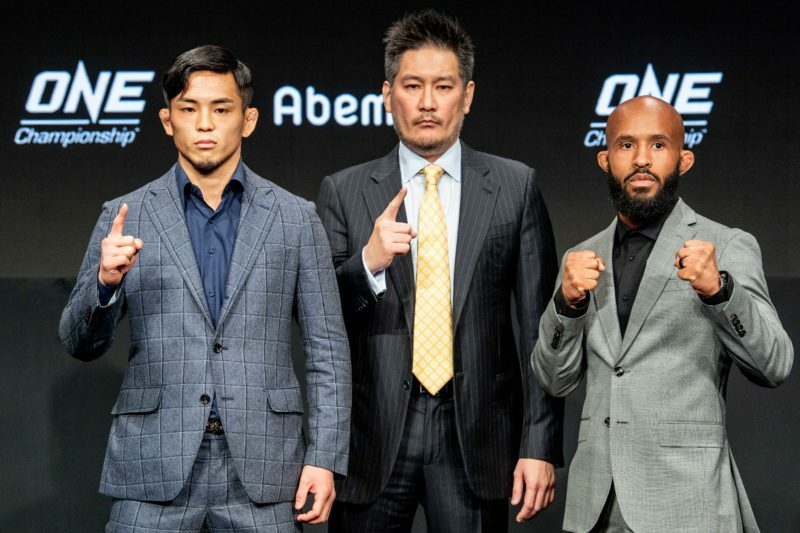 At the ONE: A New Era, three of the four opening-round matchups of the Flyweight Grand Prix took place. Kazakhstan’s Kairat Akhmetov outpointed Reece McLaren, Danny Kingad took a unanimous decision over Senzo Ikeda, and ex-UFC champion Demetrious Johnson tapped Yuya Wakamatsu with a vicious guillotine choke. 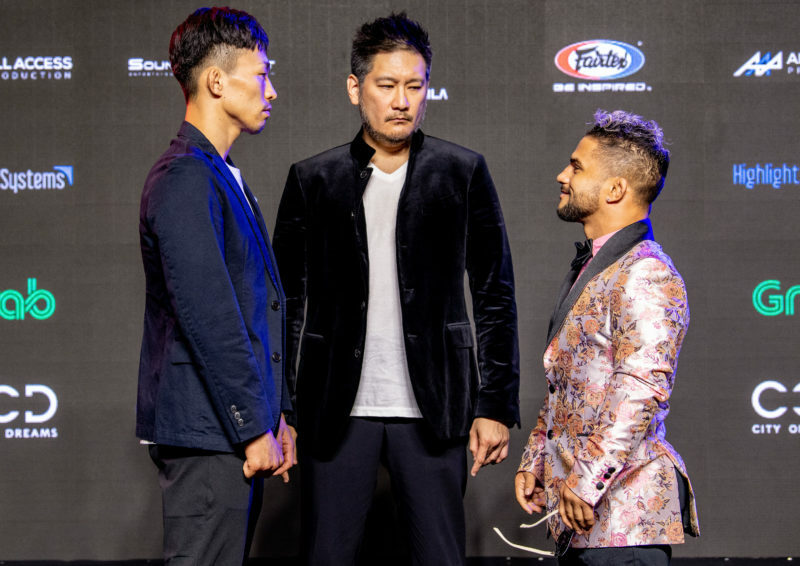 At the Roots of Honor event on Friday, the final bout of the first round of the Flyweight Grand Prix will take place between Tatsumitsu Wada (20-10-2, 1 NC) and newly-signed Gustavo Balart (8-1). Balart was signed to replace the injured Ivanildo Delfino. Balart spoke to The Body Lock ahead of his ONE Championship debut about his background, the transition to MMA from wrestling, and what it means to compete in the Grand Prix. Gustavo Balart, 32, was born on February 10, 1987, in Santiago de Cuba, a major city in the southeast of the island. Santiago de Cuba is one of the country’s most prominent cities, widely considered second to only Havana in terms of its importance to the island nation. Balart, like many Cubans, grew up without extensive privilege. At a young age, however, Balart embarked on a journey that would fundamentally alter the rest of his life. “[I] started [wrestling] at the age of seven years, and what inspired me [to begin training] was watching my father wrestling growing up,” said Balart. Cuba has a long history of outstanding athletic talent across a wide variety of sports. Chiefly, the country is known for its prolific ability to produce All-Star caliber baseball players, but Cuba’s wrestling programs are world-renowned. Cuba has nearly two dozen Olympic medals in wrestling, sending scores of competitors to the world’s most prestigious mats. Cuban wrestlers like Mijaín López, a three-time Olympic gold medalist, and five-time World champion; Juan Marén, a three-time Olympic medalist; and Filiberto Azcuy, a two-time Olympic gold medalist; stand out as examples of this international prominence. Gustavo Balart added his name to those ranks in 2011, with a gold-medal-winning performance at the Pan American Games. For Balart, the victory was a long-awaited validation of his talents and an emphatic message to his doubters. “A lot of people didn’t believe in me because of my height,” recalled Balart, who stands at 4 feet 11 inches tall. A year later, in 2012, Balart was selected to compete as a Cuban representative at the London Olympics. Though Balart failed to advance past the quarter-finals, he relishes the experience of competing at the Olympic level. Over the years, many wrestlers have made the transition from the mats to the cages and rings of mixed martial arts, often with significant success. Cuban wrestlers are no different. Take, for instance, Yoel Romero and Michel Batista. Romero, 41, is widely considered to be one of the best fighters to never win a UFC championship. Batista, meanwhile, a Pan American gold medalist and Olympian who holds a wrestling victory over Daniel Cormier, currently maintains a 4-1 (1 NC) record in MMA. 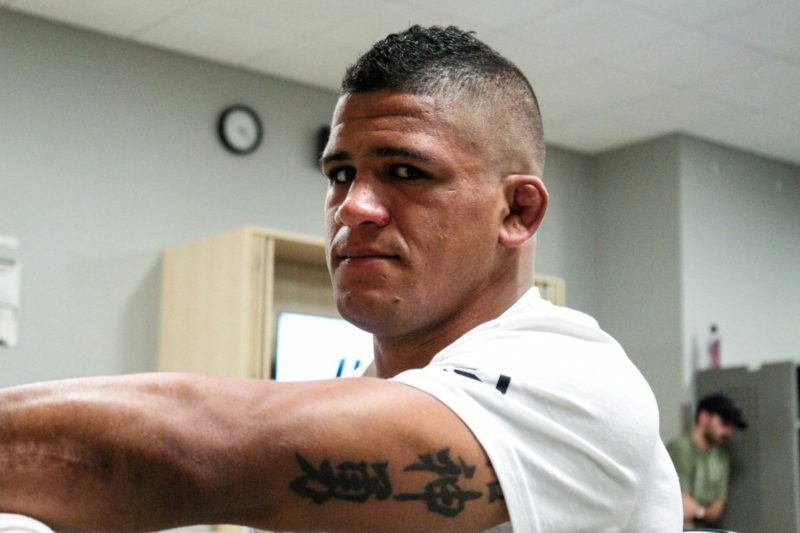 Balart followed a similar path, though his move to MMA was prompted by something Romero and Batista never had to worry about: the inception of his weight class. Being a naturally shorter fighter, the inclusion of a flyweight division was of paramount importance to Balart. Even still, Balart regularly weighs in below even the flyweight limit, typically tipping the scales at 123-124 pounds. While many might see Balart’s stature as a detriment, the 32-year-old considers it a significant advantage. “Being small… I believe it’s an advantage because my opponents don’t expect me to be strong, and move as fast, as I do,” said Balart. It’s true; though he might not sport a record littered with brutal knockouts, anyone who has watched a Gustavo Balart fight came away from it awed by the Cuban’s shocking power and agility. That striking acumen, says Balart, didn’t come easily. This Friday, Gustavo Balart will compete for ONE Championship in The Philippines for his promotional debut. However, the Cuban dynamo began his career much closer to home. Balart turned pro in 2017, winning a unanimous decision in his debut for Latin Fighter Championship, a now-defunct Colombian MMA promotion. Following a two-year gap, Balart resumed his career stateside, fighting in South Florida’s powerhouse promotion, Titan FC. Balart and Titan FC were a match made in heaven. Over two years, Balart fought eight times for the promotion, including an impressive streak of six events in a row (Titan FC 43-48). Titan FC and the fans certainly appreciated Balart’s fast-paced, fan-friendly style of fighting. A raucous arena greeted the Olympian every time he made his walk to the cage. Balart believes the support of the South Florida fans gave him an added boost of confidence. Until Titan FC 48, when he faced now-champion Juan Puerta in a flyweight title eliminator, Balart held an undefeated professional record. Balart dropped that fight to Puerta, losing by way of a vicious flying knee knockout. He was set to rematch Puerta – this time for the belt – at Titan FC 53, but the Florida Boxing Commission disqualified Puerta just moments before the fight as a result of a positive marijuana test. Balart was undoubtedly upset regarding the dissolution of that matchup, but he reiterated his respect for Puerta’s abilities and his understanding of the situation. “I was disappointed to not [be] able to fight him again because I was working hard for that fight. I believe he is a great fighter, and I loved where our rivalry was going. I believe he didn’t quite understand how the [Commission’s] marijuana testing worked and how important it is to stay clean when preparing for a fight,” said Balart. Ultimately, an opportunity to step in on short notice for ONE Championship presented itself. Balart jumped at the chance. Just like that, Gustavo Balart is in the Flyweight Grand Prix. Except for Balart, it’s more like a bantamweight – or even featherweight – tournament. Balart, who stands at 4-foot-11, is by far the shortest competitor in the tournament. Demetrious Johnson stands 5-foot-3, and Kairat Akhmetov and Danny Kingad are 5-foot-5, respectively. Even Johnson himself noted the difference in the size of his opponents coming from the UFC to ONE. 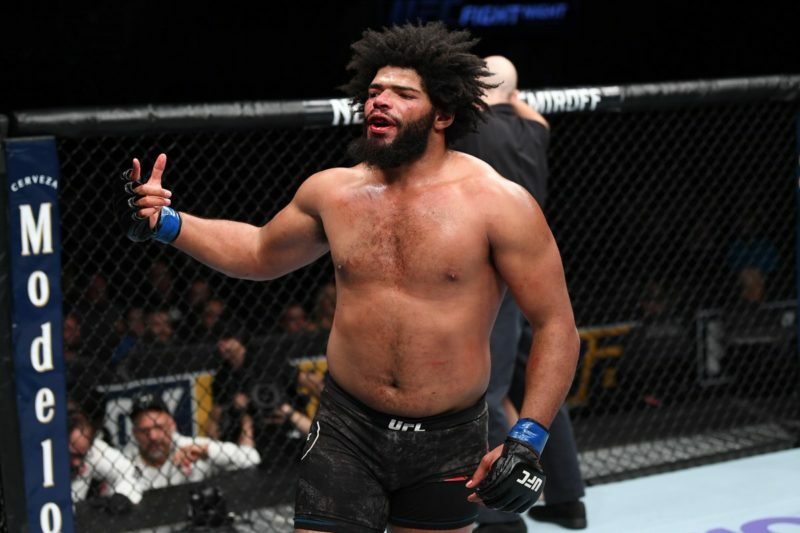 In an interview with MMAFighting after his fight, Johnson said, “Now, I’m not fighting guys who are 5-foot-3, 5-foot-4; I’m fighting guys who are like, 5-foot-5, 5-foot-7. As aforementioned, Balart often weighs in lighter than the 125-pound mark in Titan FC’s flyweight division, but ONE Championship’s flyweight division allowance is 136 pounds, ten pounds heavier. It’s unlikely that Balart will take advantage of that extra wiggle room, while his opponents certainly will. However, Balart isn’t fazed by the process. Frankly, he says he just has to experience it first. New weigh-in procedures aside, Balart is eager to compete in the Grand Prix. Balart is no stranger to gold, having won it at the Pan American Games, and he hopes to add the ONE Championship title to his mantle, too. “Being a champ in ONE would be something [that is] very important for me, and like I mentioned before, my biggest wish is to become the best 125-pound [fighter] in the world,” said Balart. To reach the finals, Balart must first defeat Tatsumitsu Wada. If he does so, he’ll face none other than Demetrious Johnson in the semi-finals. Facing Johnson would be a dream come true for Balart. Entering the ONE Championship Grand Prix on short-notice, some might get swept up in the sheer scale of it all. But Balart appreciates the opportunity ahead of him. Gustavo Balart will face Tatsumitsu Wada at ONE Championship: Roots of Honor on Friday, April 12. ONE lists the event as available on the ONE Super App, with a separate stream on B/R Live likely in the United States.